Resetting an iPhone X involves a number of different things: a basic soft reset, hard reset, factory reset and more. Understandings of these terms vary from person to person. In this post, you will know what are the differences and how to hard reset iPhone X in various situations. A soft reset usually refers to a simple restart or reboot of your iPhone X, which is basically risk-free and won’t wipe any data from your device. You can soft reset iPhone X when the system performs slow or is not functioning properly. To do this, press and hold the Side button and either Volume up/down button until the slider appears. Or go to Settings > General and scroll down to select Shut Down option. 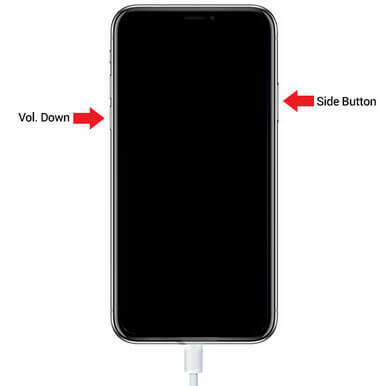 After your iPhone X is completely off, hold the side button again and release until you see Apple logo. If the buttons are not working or broken with your device, you can resort to a freeware Any iOS System Repair (ReiBoot) to perform a hard reset on iPhone X. Simply connect your iPhone with it and click Enter Recovery Mode then Exit Recovery Mode later to refresh system. A factory restore of iPhone X can help solve the issues like iPhone X storage is full, iPhone X crashes randomly by removing basically everything from your device. Therefore make sure you have made a backup before. Then go to Settings > General > Reset, and choose Erase All Content and Settings. Enter your Apple ID password to confirm the decision. There are times that you have forgotten the Apple ID password or iPhone X is locked out. If it’s the case, either iPhone Settings or iTunes is not feasible, not so with Reiboot, however. Next I will show you how to hard reset disabled iPhone X without iTunes. 1. Connect iPhone X with Any iOS System Repair (ReiBoot) and select Fix All iOS Stuck > Repair Now. 2. Click Download to acquire the IPSW file online. As soon as the firmware package is downloaded, click Start Repair to reset iPhone X without losing data. 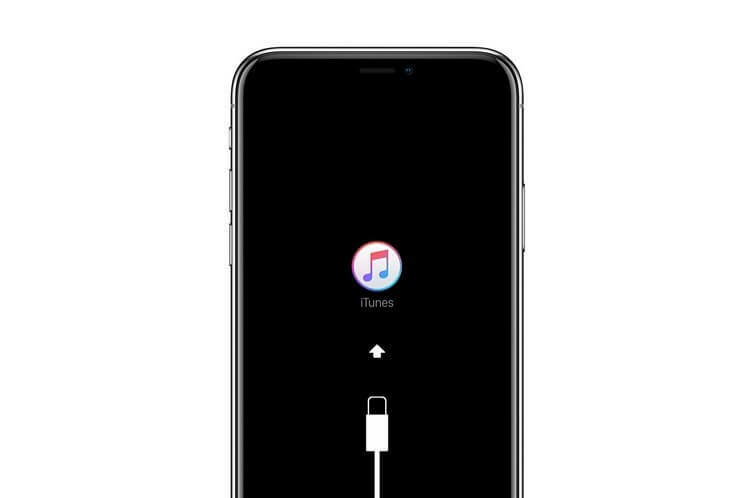 When your device is stuck on Recovery Mode/DFU Mode and not responding, you can use iTunes to reset iPhone X and go back to factory settings. Connect the bricked iPhone X with iTunes and a message will pop up asking whether to Restore or Update. Click Restore to proceed. Wait for iTunes finishing restoring your device. 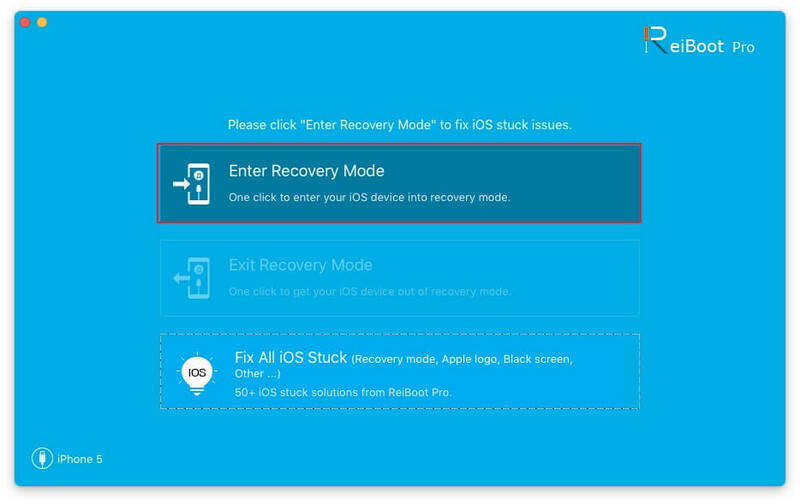 Tip: Should iTunes not working, try Any iOS System Repair (ReiBoot) instead to restore iPhone X in Recovery Mode. The worst situation is that you accidently lost iPhone X and cannot find it with every effort. To protect your personal data being violated, you need to erase your device. There is another way to factory reset iPhone X without going to Settings. Add a premise that you have enabled Find My iPhone feature. Go to iCloud.com and sign into your Apple ID, select your lost device for the list and click Erase iPhone. We have concluded all the possibilities for when and how to hard reset iPhone X in different situations, such as side button not working, forgetting password, iPhone frozen and disabled, iPhone stolen, etc. Hope you can find a satisfying answer here.